This is new to me. Has anyone seen this way before ? What do you think of this way to do it ? I'm not understanding what's different?? The difference I see is how she started the binding and ended it. Looks nice! This is the way I have always bound my quilts. It is the most durable and neatest binding I have seen. At first I thought it was just the same way I do it but then I noticed the very last part. . . . sticking the end tail into the diagonal slit that you made before you started sewing it on. I have always made a mitered seam at the end so this part is different and sure sounds easier. I will have to try it. Thanks for sharing. You are so right - That last mitered seam always frustrates me, but this looks pleasantly "do-able" Thanks for sharing.! It is very interesting, the way the tail is tucked into the fabric for the finishing touch. I may need to try this. This is the way I have always done mine...most the time they work out great....sometimes tho, I may pull it a little tight at the corners and it becomes a little "rounded" when the binding is flipped over to the back side. Be very careful not to make it too taught on the corners...it's easier to tuck a little bit extra in than it is to add to the corner to make it square once it's stitched on the front. Also an FYI...if you are entering into a quilt show...they want really squared corners and they also want the miters stitched down on both side of the corners. I have also always done this, but I did notice that this was on the "critique" list from the judge...who knew! Very interesting. I will have to try this. I always hated the last seam for the binding. Its either not enough or to much. I think you will find that this method is quite a common one. Keep learning and you will come across many more. They all suit a purpose. Yes, this is the way I bind quilts. Give it a try, you will find it looks great, wears well and is easy to do. Very good tut. I use most of it, but didn't think of cutting the beginning at 45 degrees so it is ready to join. Very good. 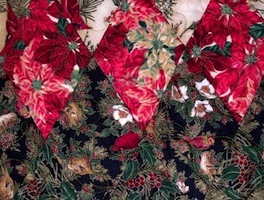 this is how i was taught to do bindings- which i quit doing once i learned to attach(do the mitered join) the ends instead- i prefer the stitched ends better now- but the first 100+ quilts i made this i did use the tuck the fabric method= so, it's definitly not new- just different. I like that end "join." I agree with the others that it looks easier than the mitered join I've been doing. 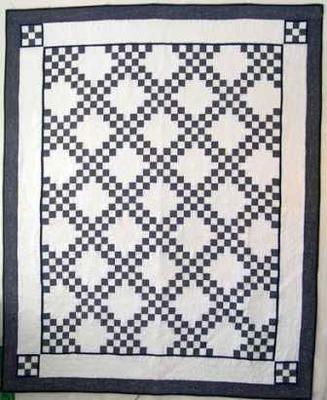 I'll have to try it on my next quilt. Thanks for sharing! This method sounds great. As many of the prior posters, I've always made a mitered join, but every single time I do it I have to spend too much time figuring it out again. It always comes out right eventually, but this method looks like it will be much easier. Have definitly bookmared the site. Thanks for sharing it with us. I used to do it this way but found it adds a more bulk at the joint, which I wasn't happy about so I'm back to mitering the end of the binding, troublesome as it can sometimes be. I've been quilting for 16 yrs, have for the most part done it the way shown. Always had problems with the ending. After reading this, no more! Thanks for the link. Thanks for the heads up on this method. Sounds much easier than some. I am a convert to Sharon Schambers glue basting. Perfect corners every time. I do like this way of ending however. I had forgot about this - I learned to end this way years ao. I like it. Being somewhat self-taught, this is the way I put all the bindings on at first. Like Evie, I found the extra bulk at the join to be annoying, so now do a metered join and trim. This is the way I do mine....but I ladder-stitch the back. Binding is one of my favourite things. Thanks for posting this tutorial, it is good and simple and also I had forgotten how to calculate the number of strips I need to cut for the binding, this tutorial also shows how to do the calculation. That's how I always join my strips for binding now. No worry if I cut the angle right, since I don't cut an angle anymore. This just works so much easier. I used to join the ends that way, but now sew the ends together with a bias seam instead. This is the way I've always done it (for the few quilts I've made). Usually, I make one of those continuous strips --- Help me! what is it called? --- but would LOVE someone to tell me what the formula is when you don't need a full yard sewn and cut on the diagonal. I always end up with strips I don't need and wonder if I'll ever find a use for later. I saw it once somewhere and should have taken notes! (Length x width) x 2 + ??? = ??? I like this way because the double fabric and the bias makes it easy to bind around uneven seams ( ! ) and makes it tight and wears well over time. WOW - looks much easier than using a binding tool and wrestling with the strips so you can sew a good diagonal seam at the end. I can't wait to try this! Thanks for sharing! I've never seen it done like this. I've bookmarked the page and am going to try it with my next binding. I learned this way when I first started quilting, and found it to be the easiest way for me to bind my quilt. I love that last idea! I always hated trying to match the two ends.! wow ....a duh moment ! thats GREAT !!! Wowwwwww, thanks so much. 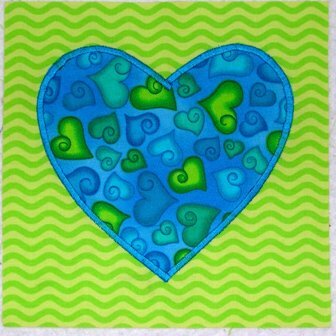 I always have such a time with corners that I end up rounding them off......not no more....I love it, and will try it on my new GGDs quilt in the making now. That is a great site. I saw this on Sewing with Nancy the other day. This must be something new. I used this method on a small quilt, works really well. 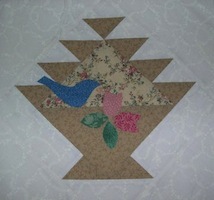 I still rather miter mine then sewing the rest of the binding on the quilt. Mitering before i start just means I have more hand sewing to do and then the chance of it coming apart are greater to me. I used to tuck my ends that way, then learned to do the mitered ending and use the miter cutting ruler to make it easier. I like the way it gives it a completely finished connection instead of a loose fold where they are tucked. this is the way I have been doing bindings for many years...what part is "new" to you. Looks like a great tutorial for binding. Thanks for the site. I've always done my bindings this way, too. I think I lift the corner fold a little more than the tutorial, to make sure I don't catch it when I start sewing again, and that way I am pretty sure to have a square corner. I miter my ends, though, even when I make placemats, even though that is a little difficult because I don't have lots of room to work with. It makes the binding all sewn, all perfect. The only thing I saw different from how I learned is how much of a seam when attaching the binding to the quilt. She is using 1/3" and I learned to use 3/8".